NEW IN STOCK. 'GLACIER WHITE- METALLIC'. HPI CLEAR. DATE OF REGISTRATION: 27/03/2015. ONLY two registered keepers from new. 2 Keys. Serviced at: 9k, 18k, 33k. 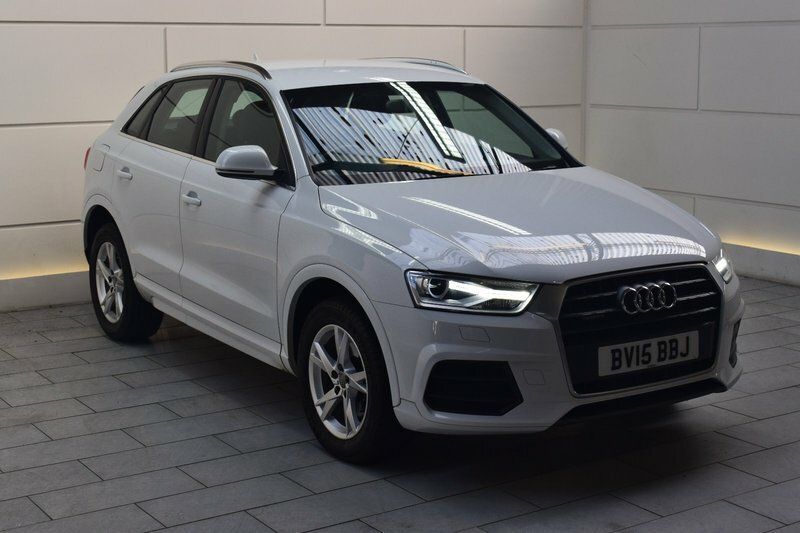 Options when ordered new include: Metallic paint- Glacier White, Audi drive select, Electric lumbar support, 3-spoke multi-function Q-design steering wheel, Full paint finish and Space-saving spare wheel. £1235 worth of options. Vehicle list price when ordered new inclusive of options: £28900. AA Approved Dealer. 12 month AA Breakdown Assistance included. Finance available. Part Exchange Welcome. Visit our website: www.rdmdirect.co.uk to view our latest diversified stock listings.